The reality is this: The American League still has four clearly excellent teams, at least on paper. Most preseason prognosticators agree Houston, Cleveland, Boston and the Yankees are at the top of the league going into the year. Major League Baseball added a second wild card playoff team to each league in 2012, at a time when making the playoffs was not a realistic goal for the Twins. They were coming off a 99-loss disaster, one which proved to be the rule rather than the exception through 2016. But that second wild card allowed them to have hope in 2015, when they played in to the final weekend of the year with a chance to make the playoffs. And it certainly paid off in 2017, when the surprising Twins stayed pretty even through the first four months and then rode a hot August and September to 85 wins and that second wild card spot. The 85 wins is the fewest of a second AL Wild Card winner since the format changed, but it’s also a good benchmark. If you can go into a season reasonably expecting to get to that number by the end, you will be playing meaningful games in September and possibly October. Based on the success of 2017, combined with the expected continued rise of several young hitters and the acquisition of capable veteran pitchers, the Twins perhaps have loftier expectations than merely competing for the final playoff spot in the American League. But the reality is this: The American League still has four clearly excellent teams, at least on paper. Most preseason prognosticators agree Houston, Cleveland, Boston and the Yankees are at the top of the league going into the year. FiveThirtyEight has those four among the top six teams in the majors, with all projected to win at least 91 games and all but Boston projected to win at least 95. Cleveland is pegged by FTE to win 99 games, while the Twins are down for 83. That’s a 16-game division game. Last year it was 17. Maybe that’s a little wide, but even if it’s half that it’s sizable. The better news for the Twins is that those 83 wins put them fifth among AL teams in those projections. There’s a large middle class with the Angels, Mariners and Blue Jays all projected right around .500, but the Twins are at the head of that class. The Twins used that formula to pull away and grab a playoff spot last season. 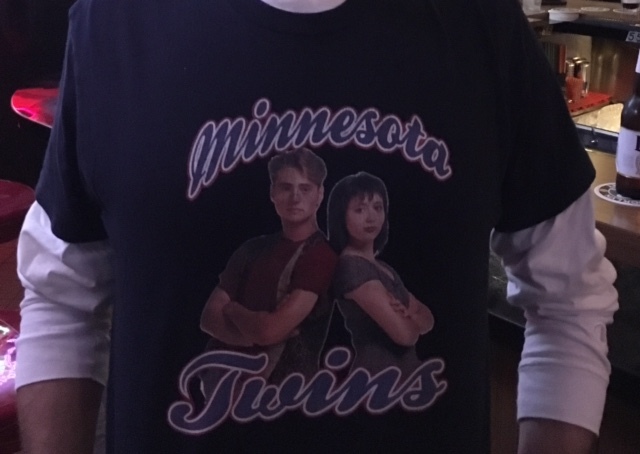 (By the way, it doesn’t hurt that the Twins get to play 57 games against the Royals, Tigers and White Sox — projected to be among the five worst teams in the majors by FiveThirtyEight). In other words, on paper at least 2018 could play out very much like 2017 for the Twins — and that would be just fine. They’ll need to make a bigger leap at some point, but re-proving that they are at least good would be a nice step. It could be the third year out of four that the creation of the second wild card spot made baseball still relevant after Labor Day around here, making the Twins — and their fans — among the greatest beneficiaries of a change from several years ago that had no immediate relevance to Target Field.